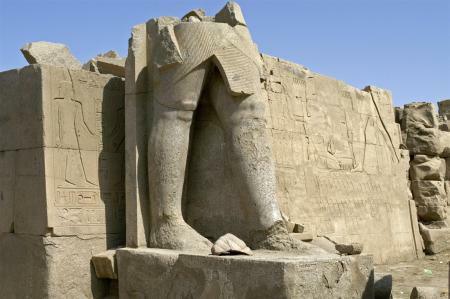 "I met a traveler from an antique land Who said: "Two vast and trunkless legs of stone Stand in the desert.......on their base these words appear: 'My name is Ozymandias, king of kings: Look on my works, ye Mighty, and despair!'" 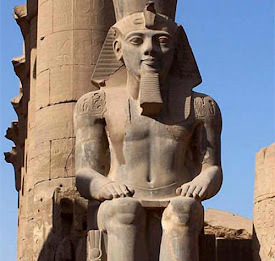 Egypt is many things to many people, but few would argue that it is the world's greatest open air museum. While it would take a lifetime to fully explore all of the monuments that house the tombs and temples of the pharaohs, at Luxor, the statue that inspired Shelly's "Ozymandias", actually that of Ramesses II, is a short paved walk from the parking lot. While some were more difficult to reach, a cursory glance of most Egyptian antiquities is nearly effortless and therein lies my problem. They are so easy to reach, that I suspect you've seen photos of all of them. So, determined not to bore you, I've decided to post blocks of those photos on Facebook and use the blog to highlight some brief encounters and musings we had on our Egyptian adventure. Nile river cruises are less formal than ocean bound voyages. Despite that, two English women who sailed with us put aside their khakis and safari jackets and dressed for dinner. That made Iris and Maude standouts in the dining room. I sought them out one afternoon and over tea learned their story. The two had been childhood friends and remained in touch with each other over the years. This past year, they both lost their husbands and neither wanted to face the prospect of that first Christmas alone. Pooling resources, they put the names of places they wanted to see into a hat, and leaving their final destination to chance, pulled the name of the country where they would spend the Christmas holiday. They were wonderful traveling companions and save for an occasional catch in the throat, they made it through the season with no public tears. We parted company in Cairo. While we headed home, their adventure continued on to Jordan and Israel. I love people who inadvertently teach the art of gracious aging. Emails from both Iris and Maude have convinced me that I made a youthful mistake by not continuing on to Jordan and the wonders of Petra. I'll become smarter with age and experience. Salma and Kasim, my plane seatmates, were both younger than me. As a matter of fact, they were younger than my children. I met Salma on the trip to Cairo where we both laughed at the passenger who was incensed when he learned no liqueur was served on Muslim airlines. She was lean and lovely and had that glowing skin that marks all the world's great beauties. She struck me as being quite modern and stylishly dressed. I was surprised her hair was covered with a traditional hijab. Apparently, she did not wear it at school but wore it when at home for her mother who would be upset by its absence. She, however, had no trouble wearing it. She explained that the veil symbolized what she believed, while her clothing was a statement of who she was. I met Kasim on the way home. He was American born but his family returned to Yemen when he was a toddler. He was returning to the United States in an effort to obtain visas for his wife and son because the Yemeni civil war was intensifying and he feared for their safety. While it surprises many American flyers, Muslim prayers are said on Egypt Air flights before take off. This was not my first rodeo, so I threw in a prayer or two of my own and struck up a conversation with Kasim when he finished his prayers. He was concerned that I would be uncomfortable sitting next to an Arab on the flight home. Nothing could be further from the truth. After the fact, I realized he had taken off his vest to assure me he was harmless. I insisted he put it back on. The plane was cold. Then there was Sarah, an expat returning to the United States for the first time in better than 20 years. She was Brooklyn born and bred and a side trip from an Israeli vacation she had taken all those years ago landed her in Alexandria Egypt. She loved it so she never left and was coming back to New York to bury a favorite brother. Expats have always fascinated me and Sarah was no exception. Sarah, as surely as T. E. Lawrence, aka Lawrence of Arabia, has fallen in love with the dunes and the rhythms of the desert and its flow. I guess these folks, and all the others I've encountered as I travel, support my belief that they've been sent my way to share directions and keep me from getting lost as I work my way toward the light, should this per chance be my final stop. Tomorrow I'll be back with "The Guy with the Glock". See you then. I like the stories -- the people stories -- like the fella who removed his vest to show you he was harmless. All of us have stories ... you're a good listener, Mary, who can hear them. Fascinating ! Your fellow travelers sound so interesting. I am assuming you're every bit as interesting to them. I'll save all your Egypt posts to read at one time. Then I'll send a link to my son, Adam, who traveled there two years ago.